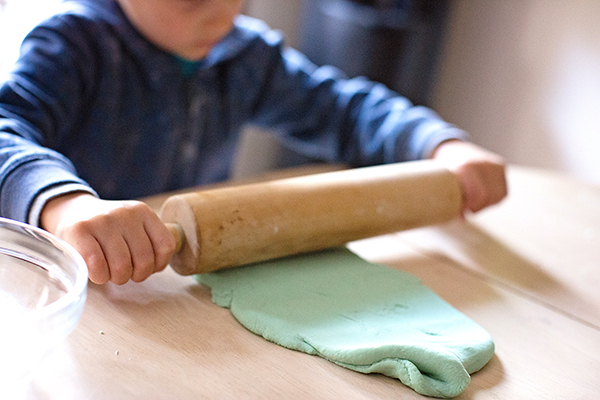 At The Cottage School, we make our own playdough every week. Children of all ages love to play with it! Not only is playdough calming, but it gives our students an opportunity for an open ended activity where they can create what they wish. Playdough gives tactile pleasure and sensory integration: children can touch it, see it, smell it and even taste it sometimes! At The Cottage School, we believe the more senses children can use and the more involved they get in the activity, the greater the learning experience is. Children need to use all senses and need opportunities to create, playdough brings a perfect combination! Knead some and let your child do the rest! *If it remains a little sticky then add a touch more flour until just right (not too sticky and not too dry). You can keep it in the refrigerator for a week; add a little more flour each time you take it out to use. *For a wonderful natural dye, try boiling beets and using the leftover water in this recipe.